Both the recently announced 24mm F1.4 G Master Prime Lens and the 400mm F2.8 GM Prime lens feature a new XD (extreme dynamic) linear lens motor. The XD Linear Motors have been newly developed to deliver higher thrust and efficiency than conventional types in order to make the most of the rapidly evolving speed performance of current and future camera bodies. Two of these new motors are used in the SEL400F28GM, achieving up to a 5x improvement in moving-subject tracking performance. This means that the full speed performance of advanced camera bodies can be applied to capturing perfect images of the most dynamic sports or wildlife subjects. 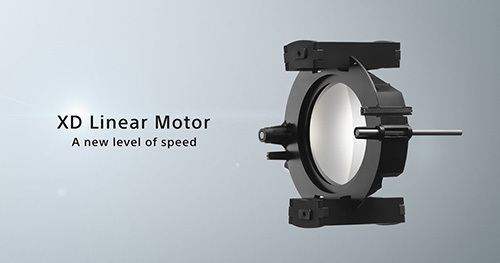 The XD Linear motors are further supported by new algorithms developed specifically for them, notably improving the motors’ response to control signals and minimizing lag and instability that can occur when driving a large aperture focus lens group for quiet, low-vibration operation.